Shradh is a pooja done for atma shanti for your departed paternal and maternal near and dear ones. It is a ritual for expressing one's respectful feelings for the ancestors with devotion. It allays the sufferings of your departed dear ones. 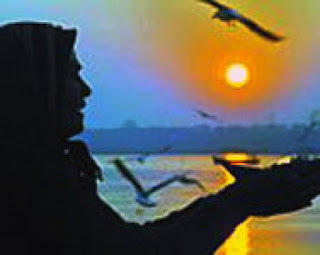 Delighting ancestors before God is promoting or enhancing well-being. Pitra Kriya is more rich in significance or implication than Dev Kriya. Garud Purana, Matsya Purana, Vishnu Purana, Vayu Purana and other sacred scriptures as Manu Smriti etc. give an account or representation of Shraddh. Pitru Paksha is considered by Hindus to be inauspicious, given the death rite performed during the ceremony, known as Shraddha or tarpan. In southern and western India, it falls in the Hindu lunar month ofBhadrapada (September–October), beginning with the full moon day (Purnima) that occurs immediately after the Ganesh festival and ending with the new moon day known as Sarvapitri amavasya, Mahalaya amavasya or simply Mahalaya. In North India and Nepal, this period corresponds to the dark fortnight of the month Ashvin, instead of Bhadrapada. In Indian tradition, the word ‘Shradh Puja' has a great significance for everyone. This puja is performed on the death anniversary of nearest and dearest one in the family for giving respect or devotion to him/her. In other words, it is a ritual in which individuals express their feelings and show loyalty towards theirancestors.Shradh Puja exists on each day of the ‘PitraPaksha' (dark fortnight) in which people cook some favourite and special food of the departed person. As per the Hindu mythology, there are 12 types of ‘Shradh Puja' available, which are performed by people with complete faith. It is the fact that if someone takes birthsthen he or she must die on some day. So, this is the life-cycle and everyone is bound to follow the procedure as well. Individuals can see the unbelievable growth in their life in terms of wealth, joy, pleasure, job, children and health by providing respect and satisfaction along with their offerings to the person, who died in the family. Thus, it is advisable to all the individuals that they should take participation in ShradhPuja withfull faith and pure heart to get the better prospectus from the dead person. And, in Hinduism, after the death of a person, Shradh must be performed within the time frame of 11 to 13 days. Hindus believe that a soul that is not pacified will continue to remain in this world and will not find salvation. So, each and every person should perform the Shradh ceremony every year by offering Anna Daan to Brahmins as well as to the poor people. In this manner, he/she can make sure that the soul of the loved ones will re visit to bless them and then will depart happily. Along with this, there are some rules and regulations, which individuals need to follow during Shradh Puja as once in a day, they must offer proper food to five Brahmins with ‘Dakshina' (Money), clothes, and other items or things of their choice. Performing this pooja for ancestors will bring good fortune to their descendants and thereby receiving positive energies for progress. The descendant also receives blessings from the pitra/forefathers to help him materially. This can greatly help the individual to progress spiritually as the material obstacles or problems are eradicated. This pooja is very powerful and effects on health and curing serious diseases. This is being done for getting recovery from chronic diseases and other body aliments. Those who are invariably suffering from any aliments shall get this pooja done for early recovery. This pooja is specifically suitable for Success in Business or Career , Protection from Evils and Enemies. Malefic effects of Jupiter are also considered due to pitra dosh. It is not a curse of ancestors. It appears in the horoscope of a person due to the previous bad karmas of his forefathers. In simple terms, he has to pay for those actions by going through the suffering that has been decided for those karmic deeds. This will continue until these karmic debts are cleared either by suffering or by the good deeds that have been done by the person who has the pitra dosha. It is just like a child inherits the assets and liabilities of his forefathers in this materialistic world, the results of past karmas are also passed on to the descedents. To relieve yourself of pitra dosha we should do shraadh/pitrapaksh pooja on every Amavasya and also in the shraadh days in the month of Ashwin to get benefit to the greatest possible degree. If Jupiter is in his sign of debilitation and associated with a malefic one can find his life ruined in all respects due to malefic effects of planet Jupiter. 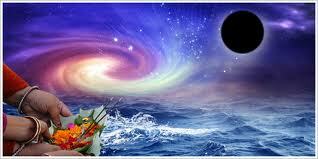 The Pitra Dosha created by the Jupiter, in horoscope, is related to the Sins committed by ancestors. Appeasing deity of the relevant planet causing Pitra Dosha in horoscope of a person is must, to get rid of the problems originated due to them. Otherwise, the implications of Pitra Dosha will continue to reflect in the birth charts of ongoing generation. Further the persons going through the main and sub period of jupter ( Brahaspati mahadasha and antardasha) are suggested to conduct the shraadh pooja so that quantum of suffering or debt is reduced. This dosha is also minimized and fruitful results are obtained by doing the shraadh pooja by procuring the blessings of ancestors. Childless couples and persons facing hinderance in getting monetary benefits when perform this pooja are benefitted to a great extent. Unfortunately this important death ceremony(shraadh) is one of the most neglected Hindu rituals in the present day society.vedic phrase 'jiva jivasya jivanam' the living entity survives by feeding upon another living entity who in turn survives by feeding on another living entity. . . This ceremony is performed by 2 sadhaks(brahmin) as per the prescribed rituals by offering clothes and food, etc and blessings are sought. After that it is customary to do poor feeding. We give lunch to the 108/1008 poor people. We conduct both types of offerings for maximum 'tarpan' (relief). Every year in the month of Ashwin (hindu month), Krishna Paksh i. e. , 15 days commencing from Purnima(fullmoon) to Amavasya (darknight) "Shraadh" days are performed. In the year 2012 it will be from 1st october 2012 to 15th october 2012.